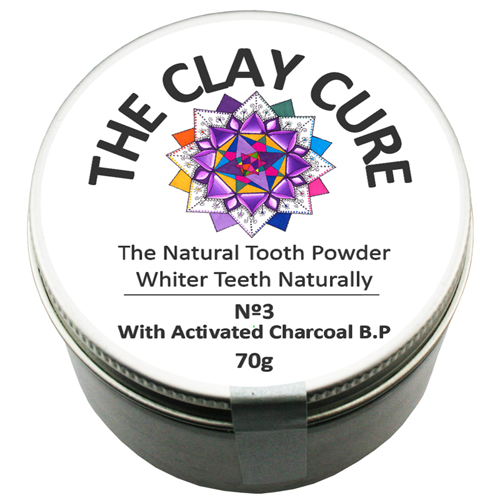 The Natural Tooth Powder - No.3 Activated Charcoal - 70g by The Clay Cure Co.
Clay Cure's Natural Tooth Powder No.3 (Activated Charcoal) will improve your dental hygiene, regulate vital pH levels and help re-mineralize enamel. It has natural antibacterial and antiseptic properties and is effective against the formation of tartar and plaques. Montmorillonite clay,** Calcium carbonate, Kaolin clay,** Sodium bicarbonate (alu. 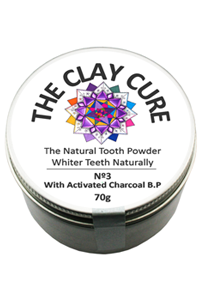 free), Activated charcoal, Xylitol, Himalayan rock salt.